Do you know what "BFRB" stands for? Most Canadians don't, and even when it is explained to them, many who have a BFRB are met with discrimination and shame. With your desire to improve mental health services it is important you learn about people with BFRBs and how frustrating it is trying to get effective treatment in Canada for these conditions. 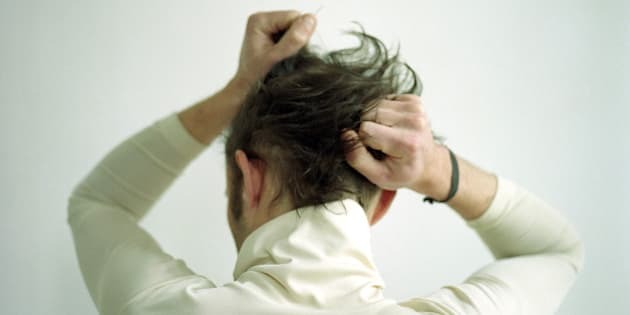 According to the Trichotillomania Learning Center, one in 50 Americans have a body-focused repetitive behaviour, so where is the general knowledge about these disorders in Canada? These behaviours do not stop at the border, which means that up to two per cent of Canadians have a BFRB. Why aren't there pamphlets about trichotillomania and excoriation disorder (a.k.a. "dermatillomania") in every doctor's office, much like we see with other mental health afflictions? We need a country where all health care professionals are trained treat BFRBs. Many practitioners believe they can help us because they know how to treat anxiety disorders, obsessive-compulsive disorder, depression, body dysmorphic disorder, along with other psychiatric afflictions that share similarities with BFRBs. We are given high doses of medication (usually to no avail for the BFRB) or DIY CBT workbook exercises, and are told that nothing else can be done to help us. The lack of insight untrained practitioners have about these disorders can hurt clients by creating a scenario of hopelessness for recovery. We feel alone, with many of us no longer trusting the Canadian mental health system that has repeatedly let us down. For nationwide support Canada has the volunteer-run non-profit organization Canadian BFRB Support Network, but only five BFRB-trained providers -- none who are east of Ontario. After living with a chronic BFRB in Nova Scotia for over 15 of my 29 years, I recently achieved a state of recovery for my compulsive skin picking with an American practitioner who specializes in treating BFRBs. After years of advocating for awareness through the memoir Forever Marked: A Dermatillomania Diary, documentary Scars of Shame, interviews, workshops and online campaigns, I was invited to the CBS television show The Doctors in Hollywood and offered treatment via the webcam. After 12 weeks of one-on-one sessions I was able to navigate through most of my urges and learned many things about myself I would never have without proper therapy. All Canadians deserve to have access to the type of therapy that I was lucky to be gifted with. Early prevention strategies are also needed in this country to ensure that the next generation does not have to suffer for decades before having these disorders addressed. It is important to see the leader of our country speaking about mental health, investing in health care services and having conversations about how mental health affects everyone. Canada has a long way to go with eradicating mental health stigma and with you personally understanding the need for all Canadians to have access to adequate mental health services, I have hope that the BFRB community will one day be served by respectful professionals with the education and compassion needed to help our abandoned community. To learn more about body-focused repetitive behaviours, please visit the Trichotillomania Learning Center and Canadian BFRB Support Network.